Green is my favorite color, and combined with wood and some soft color pumpkins, I’l have a simple Fall look around this dining table. Small changes for a big impact! Just today I noticed how late I’ve been approaching Halloween decorations around our home. Perhaps it is the fact that we just moved and still assimilating the change. Having a new space that you can finally call “mine” (like children do) is a big thing for us. 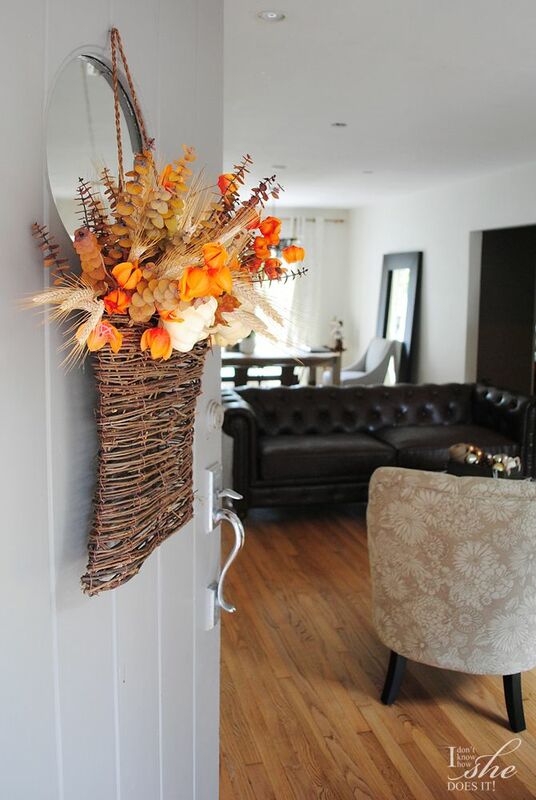 On our front door we place a Harvest inspired basket to welcome Fall. Perhaps later on this week we might add some plastic spiders or even stretchable spiderweb for a spooky look. I love coming home and seeing how our bare walls reflect the beautiful sunlight coming from our front window in the morning, and our kitchen area later on. We are planning on having larger windows in a near future to take advantage of the natural light that works around our home. But in the mean time, I’ve been busy incorporating Fall accents here and there. 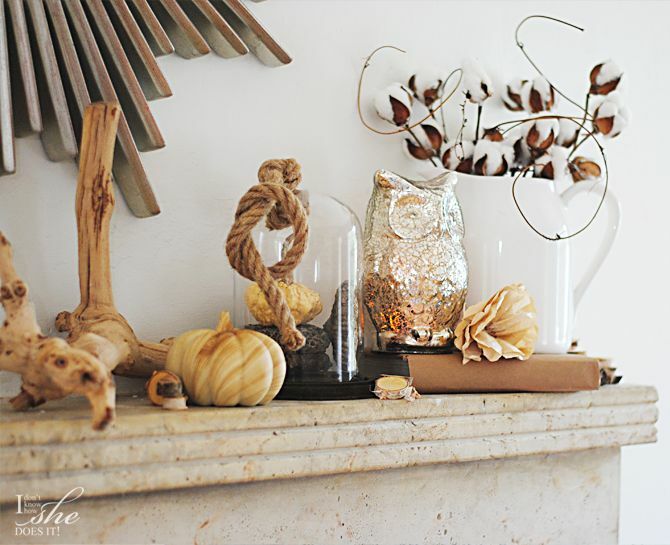 I love the colors that this season brings and the more because they go so perfectly with our neutral decoration. 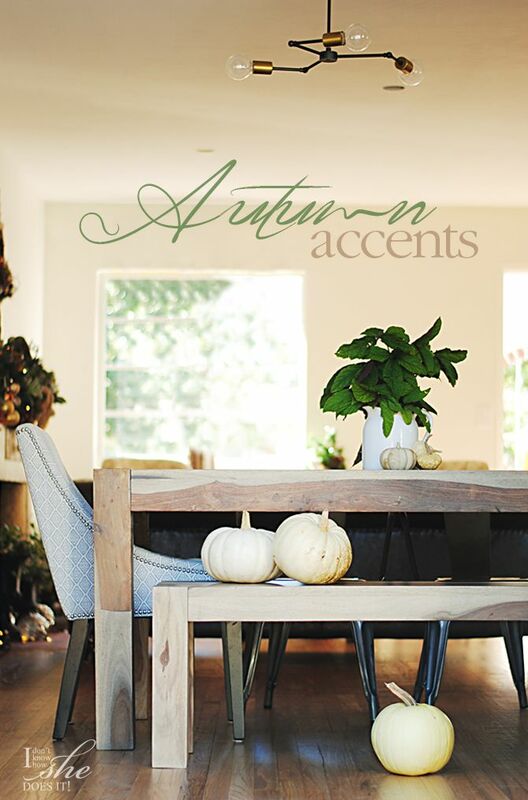 Because of this, today I’m sharing some of the accents around our home that bring Autumn in and that can work from the beginning to the end of this season (including Halloween). Over our mantel, I’ve decided that cotton was the perfect accent to balance the rough surface of the stone. It is reminiscent of this season and creates a great balance and contrast against the wall. These pumpkins have gone from our front door (without the spiders) to our dinning table as a Halloween centerpiece. With a couple of transfers, available at Jo-Ann, they are ready to trick or treat. 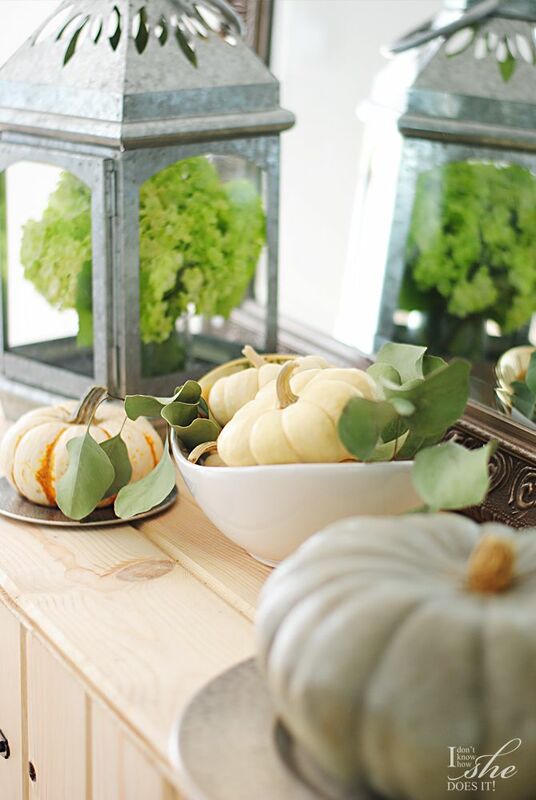 Adding greenery to a this pumpkin vignette, made a welcoming statement in this receiving area. 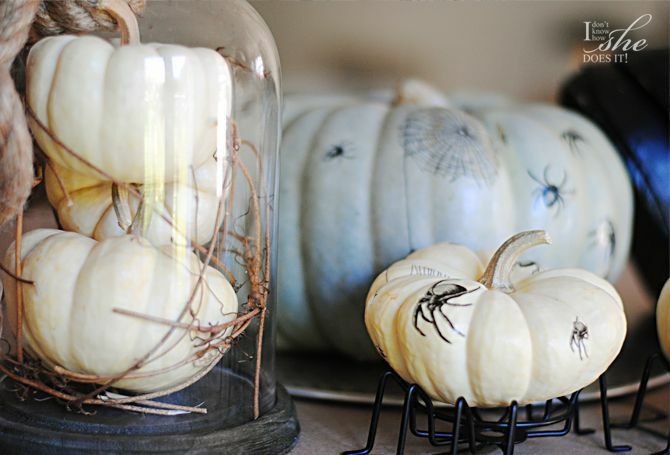 Add faux-spiderwebs for a Halloween look, or some dry wheat bunch for a Thanksgiving table setting.